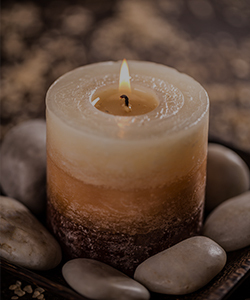 Susan (Angell) Nollenberg, age 69, of Neenah, passed away peacefully, Monday, March 18, 2019, at ThedaCare Regional Medical Center, Neenah. She was born December 23, 1949, in Winneconne to the late Donald and Beatrice (Korn) Angell. Susie was a 1969 graduate of Winneconne High School. She was a caregiver with a big heart who made people feel good with her sense of humor. Susie enjoyed cooking and was a magnificent baker who specialized in decorating and making wedding cakes. She was truly loved by her family and friends and is survived by: her husband, Raymond Nollenberg; two sons, Brian Igl, Brad Igl; a granddaughter, Terina Angell Igl; a brother and sister-in-law, Steve and Paula Angell; an aunt, Hazel Tritt; her goddaughter and niece, Amy Angell Proctor; and numerous step-children, step-grandchildren, nieces, nephews, cousins, and friends. Along with her parents, Susan was also preceded in death by two brothers, Edward and Richard Angell. A visitation for family and friends will be on Saturday, March 30, 2019, from 10:30 a.m. until Noon at Mueller Funeral Home 904 E. Main St. Winneconne. A Time of Remembrance will be held on Saturday at Noon at the funeral home. A Celebration of Life will be held on Saturday, March 30 from 1:00 p.m. until ? at Two Broke Girlz 430 Sherry St. Neenah. I was so sorry to hear about my cousin Susan. We haven't been in touch in years since I live in Colorado. My thoughts and prayers are with the family. I am sorry to hear of the loss of your loved one. I am praying for you all. i'm truly sorry to hear about. Sue. My thoughts and prayers are with all of you. Sue was a great friend, always happy and kind. She will be. missed by many. RIP Susie. Love you "SIster"